The post 10 Most beautiful places to visit in Sri Lanka appeared first on ScrollDroll. Trincomalee sits on one of the world’s finest natural deep-water harbors. Having a spiritual as well as commercial importance, Trinco is located 257 km of Colombo. Swimming, diving and whale watching are termed as the best things to do in Trincomalee. Wilpattu National Park is situated in the Northwest coast of Sri Lanka; approximately 180kms from Colombo. The park stands unique as it has nearly 60 natural lakes spread throughout, making it the largest Park in Sri Lanka. 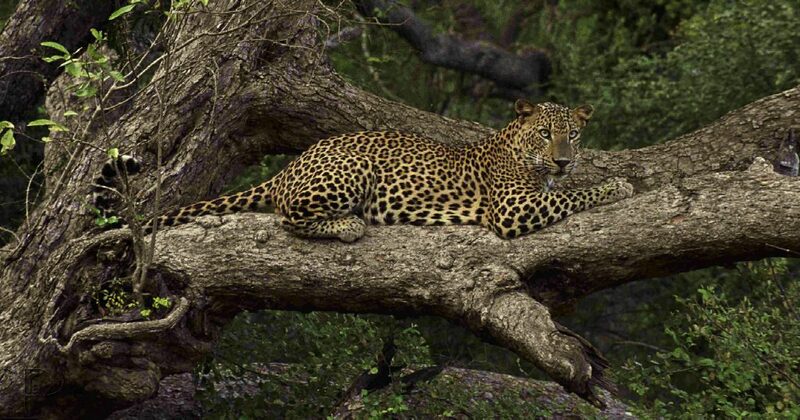 Enjoy the wildlife of Wilpattu with the presence of 49 leopards between the months of February to October. 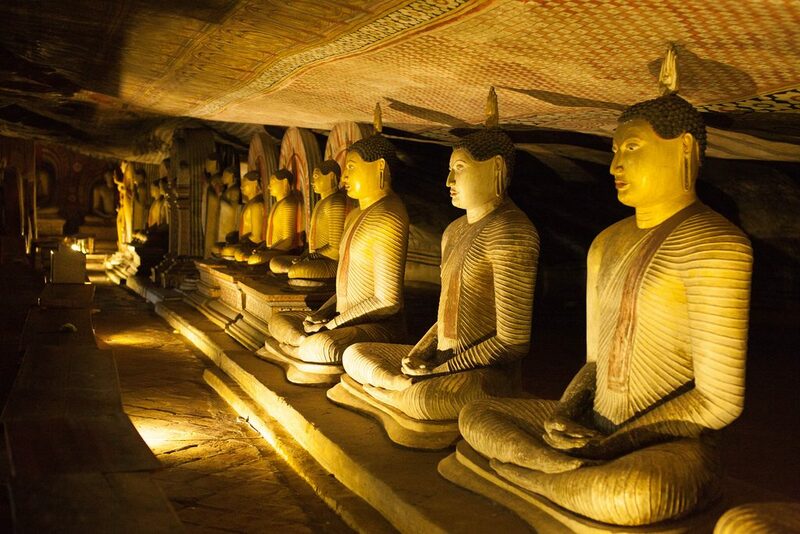 Situated in the central part of the country, Dambulla cave temple is equally known as the Golden Temple of Sri Lanka. Spread over five caves, this temple contains statues and paintings related to Gautama Buddha and his life. A massive rock formation from the remains of an extinct volcano’s magma, Pidurangala is peppered with caves and little cells. Equally known as a meditative retreat, Pidu provides a stunning view of rolling lake-and-land vistas. It is believed that the monastery here dates back to the reign of King Kasappa. 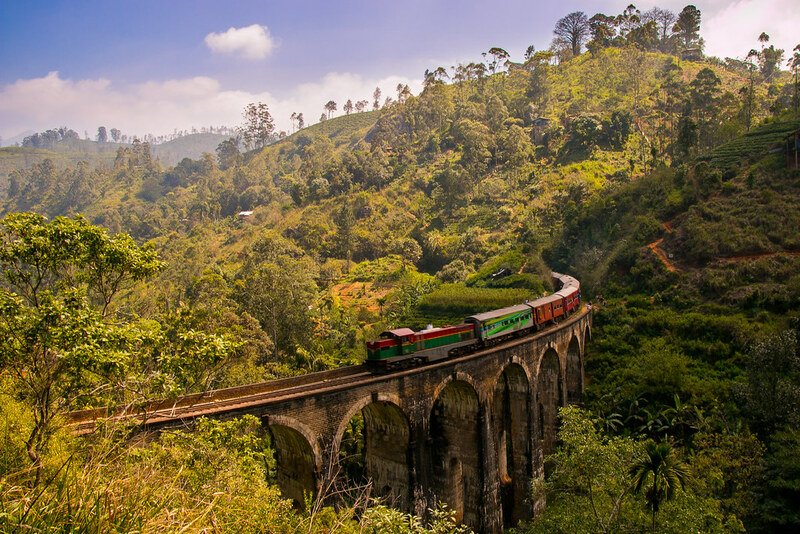 Located in a dense jungle, The Nine Arch Bridge in Ella is on the Demodara loop and spans 91 meters at a height of 24m. The bridge provides the view of a booming forest and tea leaves cultivation. The unique part about this bridge is that it is built entirely from rocks, bricks, and cement with no use of steel or metals throughout the structure. Also known as Bridal Falls, Dunhinda Falls is located about 5 kilometers from the Badulla town. 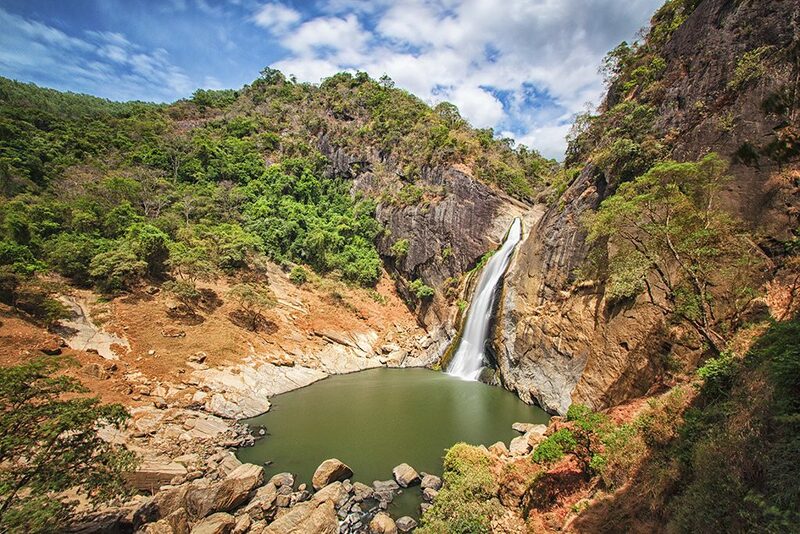 It has been termed as one of the most beautiful waterfalls of Sri Lanka because of its 64 metres height. 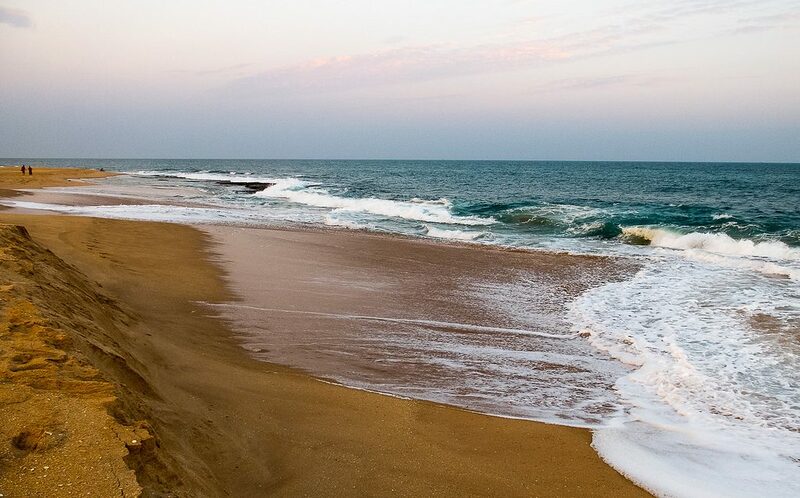 Magnificent waves and surfing experience, Tangalle is the beach to visit in Hambantota District located in the Southern Province. 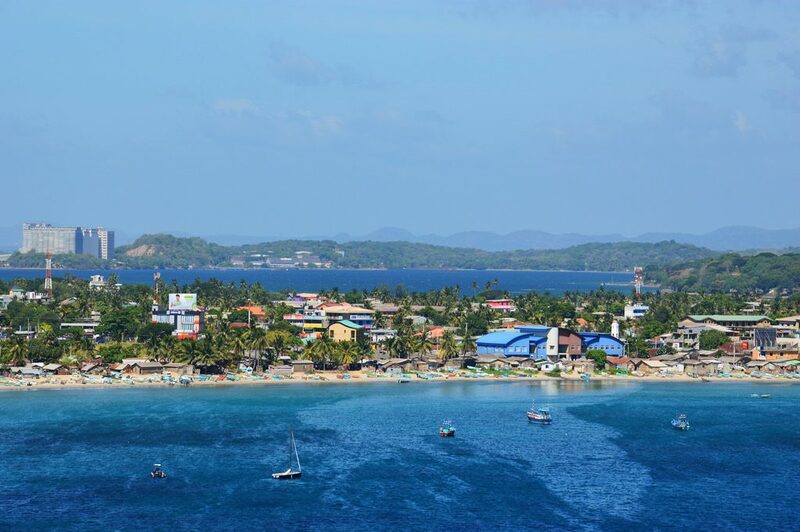 The beach is equally famous for its long sandy shores, leaning palm trees and its deep turquoise water. 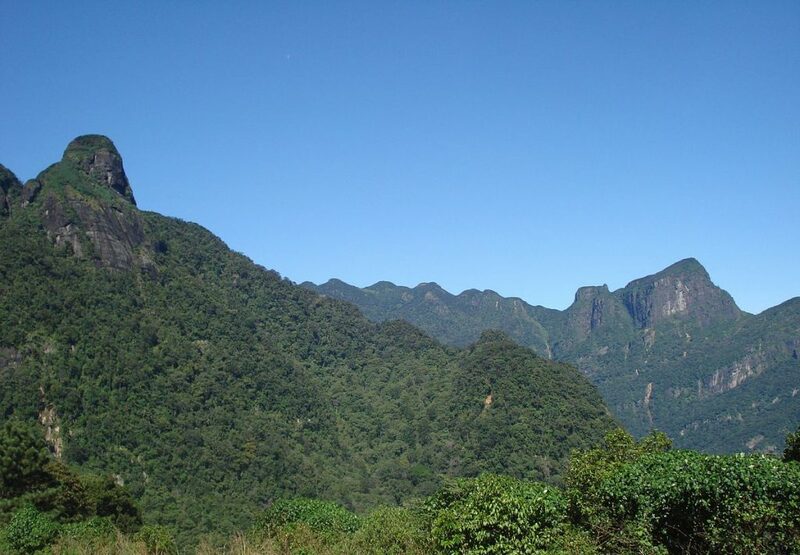 The Knuckles Mountain Range lies in central Sri Lanka, in the districts of Matale and Kandy. The range takes its name from a series of recumbent folds and peaks in the west of the massif which resembles the knuckles of the clenched fist when viewed from certain locations in the Kandy District. The range has a high variety of flora and fauna and is home to a significantly higher proportion of the country’s biodiversity. 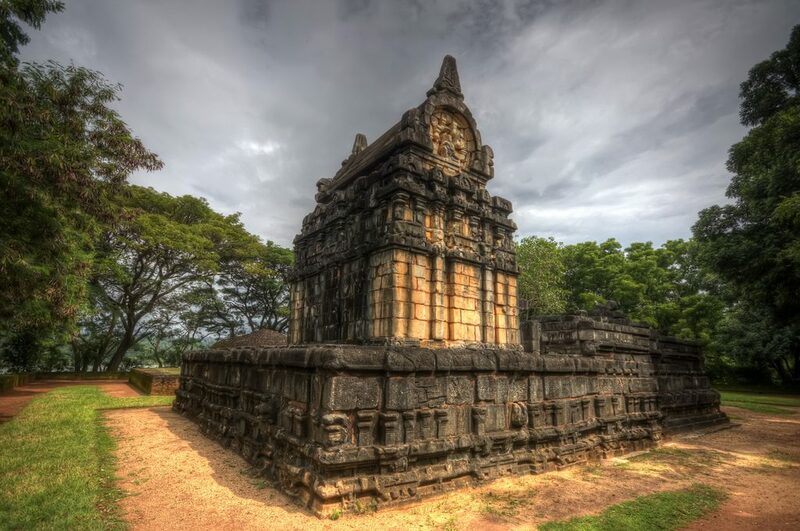 Situated 20 km of Matale town, Nalanda Gedige is a hybrid of Buddhist and Hindu temple architecture. Nalanda provides a masterpiece of a sculptural tradition of Buddhist art constructed in between 8th to 10thcentury. For a walk back in time, visit the magnificent Nalanda Gedige and rejoice the master strokes of the then artists. 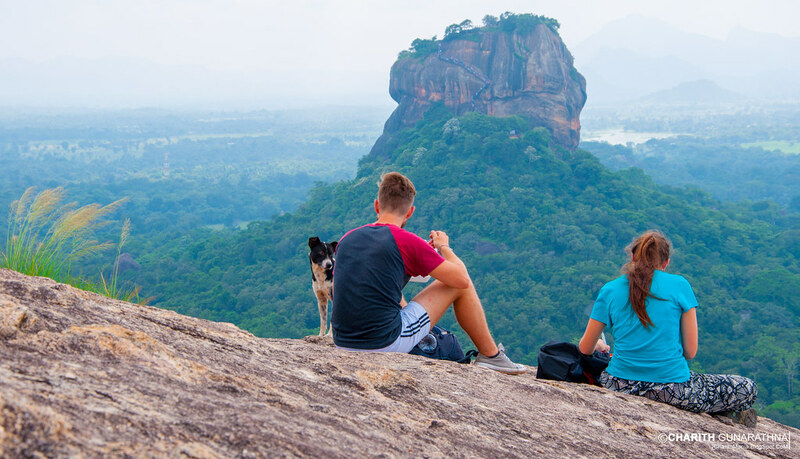 Sri Lanka’s rich cultural and biological diversity is best explored in the months between November and February, when the temperatures are relatively lower. The tropical rain forests and stunning beaches of the country are best enjoyed with a pint of beer and traditional Sri Lankan food. Let us know what you think about the list in the comments below. The post Almora: The Quaint Hill Town of Uttarakhand appeared first on ScrollDroll. 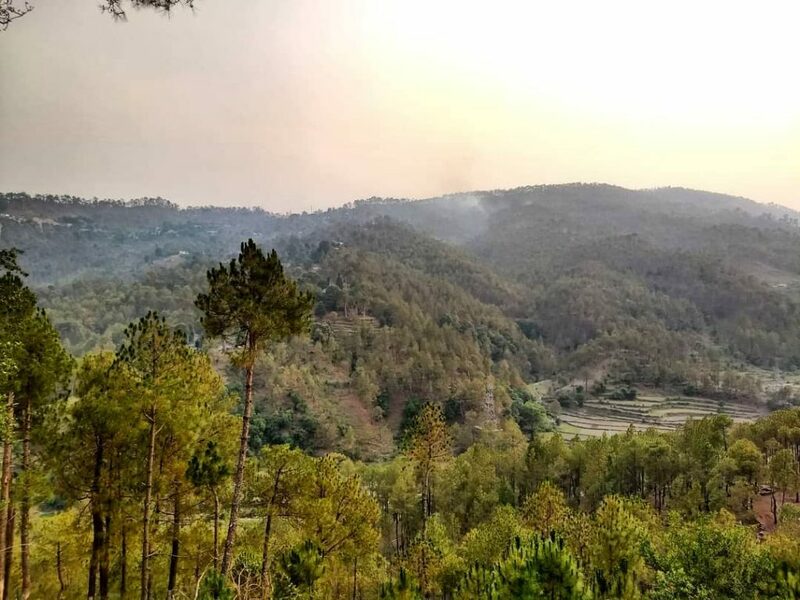 More often than not considered to be a transit point on the way to popular destinations such as Kausani, Jageshwar, and Binsar, Almora has a charm of its own that is inescapable. The second largest town of Uttarakhand, Almora is home of Kumaon’s most important temples and offers a breathtaking view of the great Himalayan ranges. Once the capital of Kumaon’s Chand dynasty, Almora is now home to some of the most important temples of Uttarakhand such as the Nanda Devi temple. 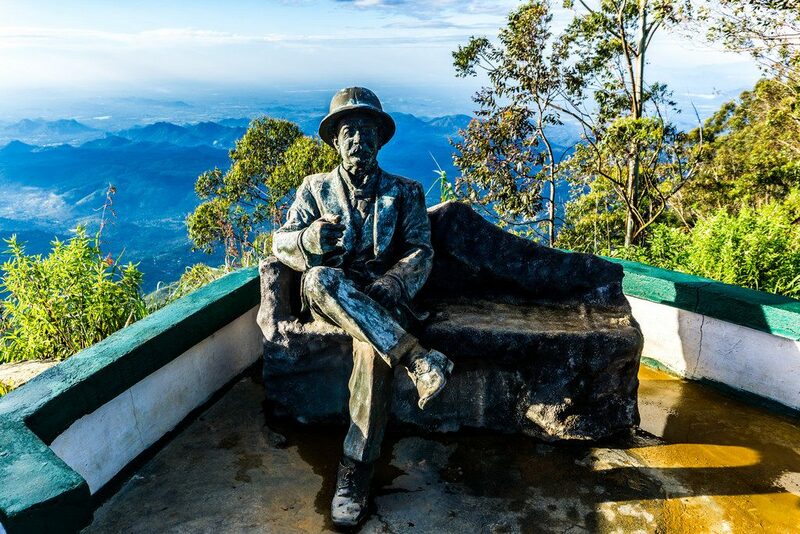 The pine and cedar-covered hills of Almora have attracted the renowned Bengali writer Rabindranath Tagore and the famous Hindu monk Swami Vivekanand with their tranquility. 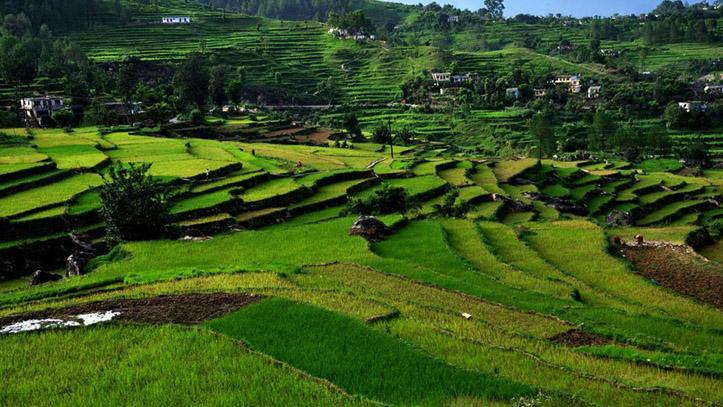 Located at a range of elevation, Almora has a combination of vegetation with almost 4,000 species of plants. The outskirts of the town are home to a wide range of fauna. 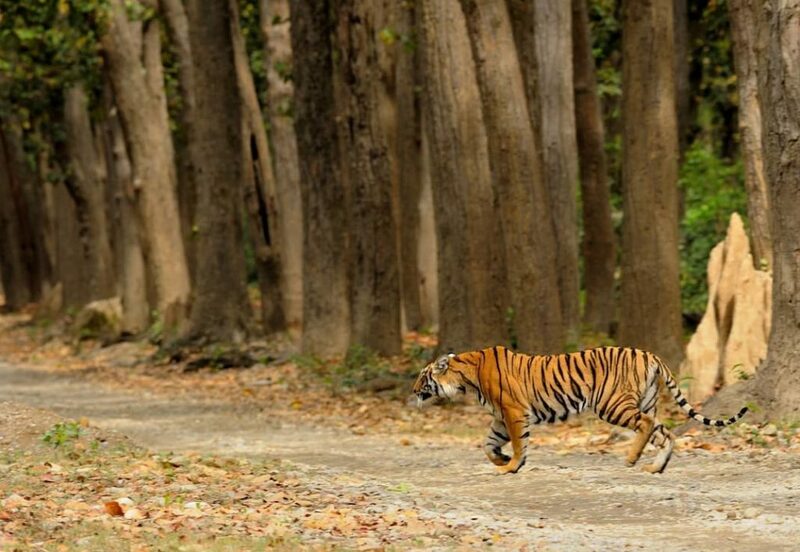 Leopards, Himalayan black bear, blue sheep, Monal, Whistling thrush and several other remarkable species of wild animals are present in the forests of Almora. Located on a 5-km horseshoe-shaped ridge, Almora is at an altitude of 5,400 ft with the beautiful Himalayas in the backdrop. The town is well-connected via road and can be reached easily from popular tourist places such as Nainital, Bhimtal and Binsar. To go around Almora, it is advisable to take your own vehicle. Tourists can also book 1-day tours in private taxis to go around the town. Almora does not have a well-developed public transport system. Thus, for budget travelers hitchhiking is also an option. 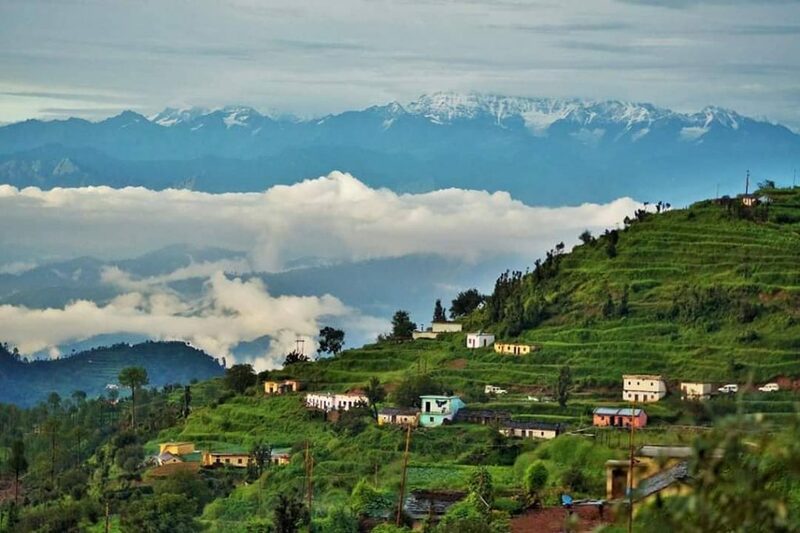 Local sightseeing in Almora mainly comprises of trotting through the markets, visiting the famous temples and enjoying the picturesque views of the Himalayas. All the major tourist attraction of the town can be reached on foot. However, to visit places in the outskirts of the town, hiring a taxi is advisable. Bustling during the daytime, Almora’s Lala Bazaar is a 200-year old market where tourists can find local eateries and shops to buy inexpensive copperware and winter wears. 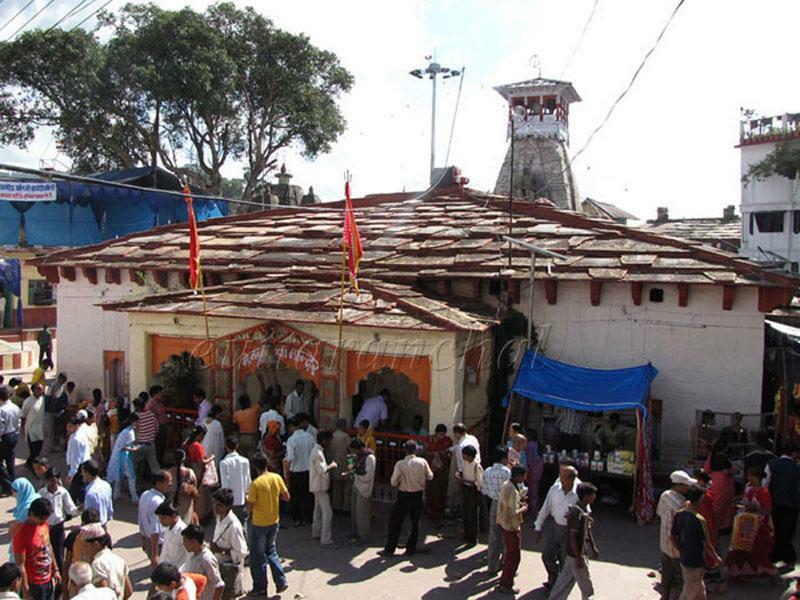 The famous Nanda Devi Temple is located right in the middle of the bustling Lala Bazaar in Almora. 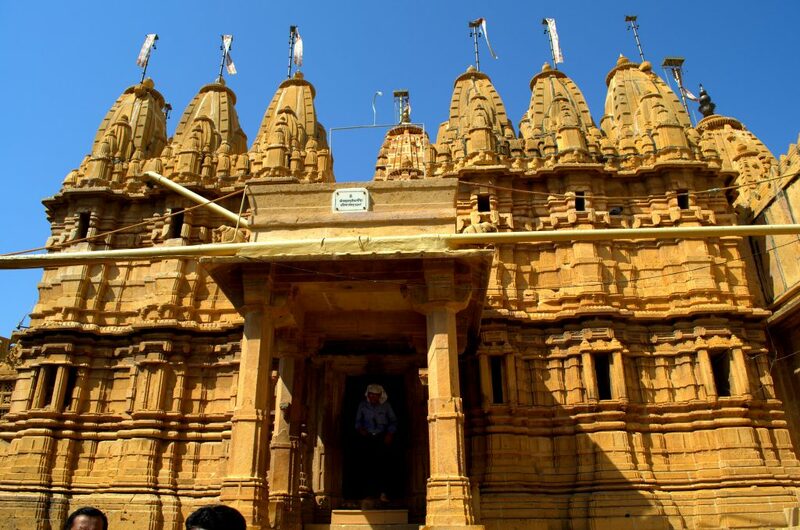 The temple was built the Chand rulers and has an idol of the goddess placed in a room inside the Shiva temple. 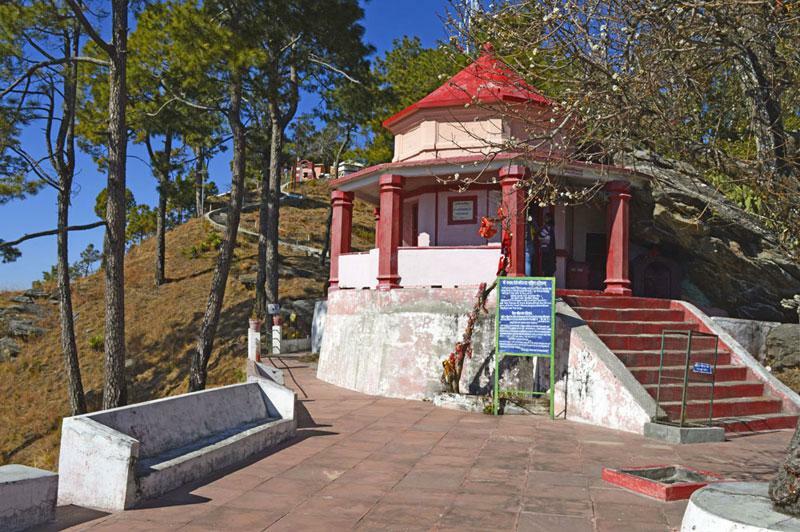 Located at an altitude of 5,741 feet, the Kasar Devi temple is in the outskirts of Almora. A popular pilgrimage site in Uttarakhand, Kasar Devi is around 8.5 km from the town. 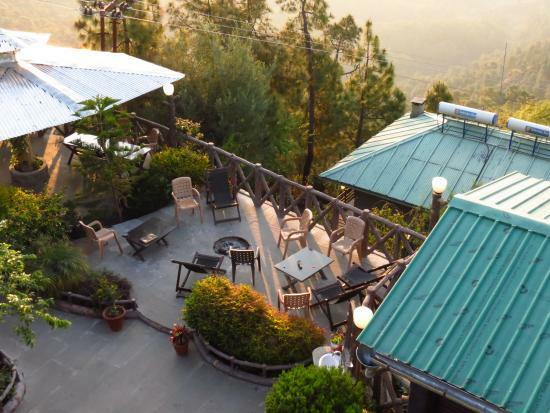 Near Kasar Devi is Mohan’s Café overlooking the beautiful Himalayan peaks. The scrumptious food at this cafe can be enjoyed with a view that is unmatchable. Also, if visiting during winters, tourists can also sip their coffee while enjoying a bonfire at this beautifully done café in Almora. 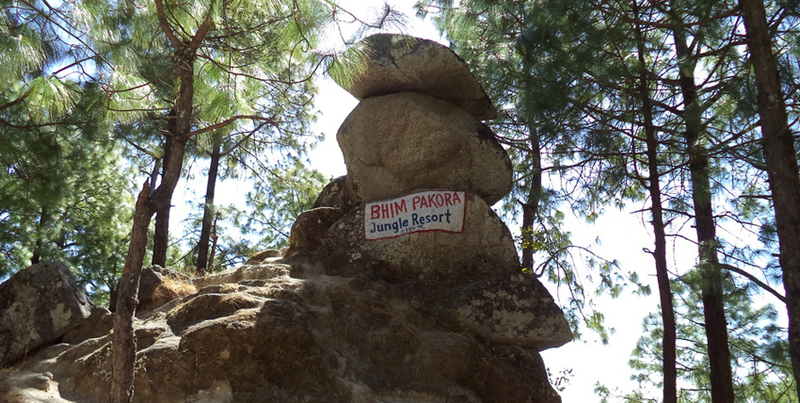 Located around 2.5km from town, Bright End Corner is a popular tourist spot in Almora. 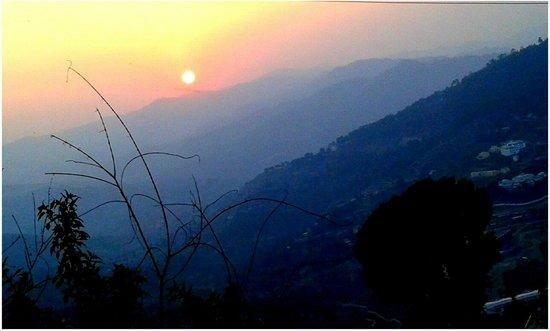 Visit the Bright End Corner to enjoy the beauty of the Himalayas and witness a breathtaking sunset view. One of Uttarakhand’s most popular Dussehra celebrations takes place in Almora. 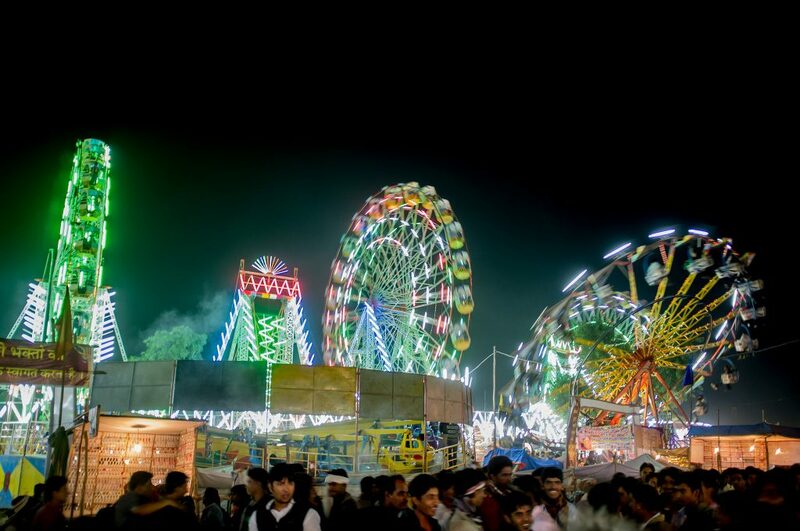 A huge fair is organized where locals throng in large numbers to celebrate the victory of good over evil. The Nanda Devi Mela, which is held in the month of September, lasts for 5 complete days. The cultural carnival has been taking place in Almora for the past 400 years and it is an experience one should not miss. Located in the lap of Himalayas, Almora experiences pleasant climatic conditions during most part of the year. During April to June, the days remain pleasant and evenings can get a little cold. Thus, this is the best time to visit Almora. Winter season lasts from November to February and can be harsh. Areas located in the outskirts at a higher altitude, such as Kasar Devi, receive snowfall every year. Almora gives a sizable number of luxury accommodation options to its tourists. However, most of them are located in the outskirts. A night’s stay at these beautiful properties can cost anywhere between Rs. 4-7,000. Several budget hotels are also available in the town that cost about Rs. 1-3,000 a night. Set in the lap of snow-clad Himalayan peaks is the small town of Munsiyari. The hill station is a popular spot for trekking and its splendid beauty. Tourists traveling from Almora to Munsiyari should be prepared for a bumpy ride because the road to the hill station isn’t a very smooth one. 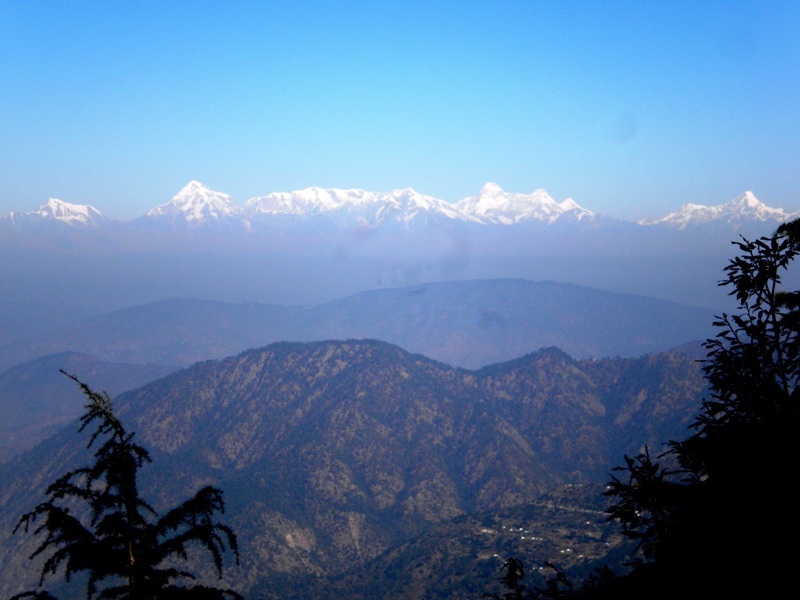 Taxis and buses to Munsiyari are easily available from Almora. 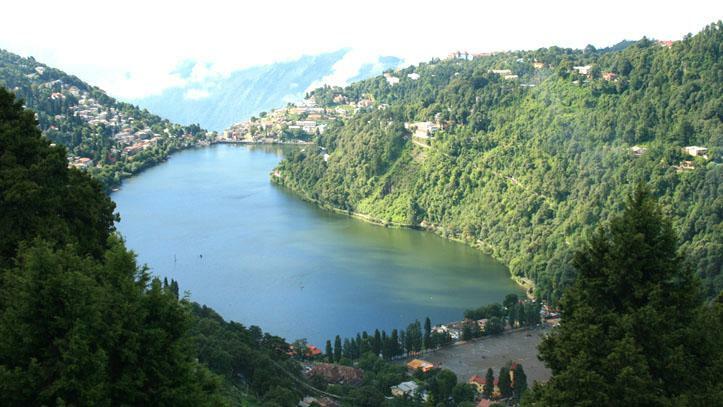 One of the most popular tourist destinations of Uttarakhand, Nainital is hardly a 2-hour drive from Almora. Nestled in the beautiful Himalayan ranges, Nainital is adorned by the gorgeous Naini lake and that makes it one of the most popular tourist destinations of Uttarakhand. 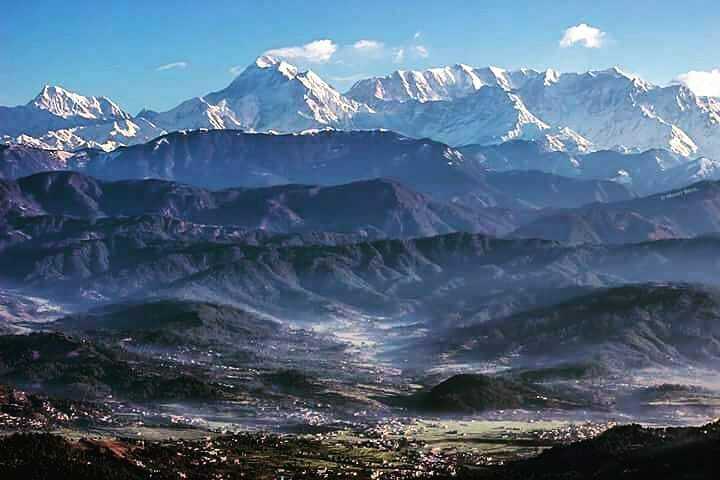 The 300-km wide panoramic view of the Himalayas is what makes Kausani one of the must-visit destinations of Uttarakhand. The hill town offers a view of one of the highest Himalayan peaks such as Nanda Devi and Panchachuli. To reach Kausani, taxis are the most convenient mode of transportation. For budget travelers, buses are also an option. The post Lansdowne: The exquisite hill town of Uttarakhand appeared first on ScrollDroll. A well-kept cantonment area of Pauri Garhwal district, Lansdowne is a relatively virgin hill town of the otherwise thoroughly explored and crowded state of Uttarakhand. Lansdowne is located on the Kotdwar-Pauri road and its civic administration falls under the cantonment board, which explains the immaculate cleanliness and strict law abidance in the hill town. Located in the Shivalik hills of Garhwal region, Lansdowne was named after its founder Lord Lansdowne. The town was developed by the Britishers with the purpose of catering the recruits at the training center of the Garhwal Rifles. Thus, Lansdowne was a place of importance for freedom fighters from British Garhwal. Given its history of being under the British influence, the most significant thing that one notices on entering Lansdowne is the elegant cantonment of Garhwal Rifles. Being under the civic administration of the cantonment board has prevented the hill town from becoming commercialized like its neighboring counterparts in the state. The Garhwal Rifle board has made sure that there is minimum tampering with nature and that is one of the primary reasons why the flora and fauna of the area have been well-preserved. Several species of mountain animals and heavy vegetation of pine trees can be found in Lansdowne, making it a natural beauty that any nature lover must explore. An unexpected turn on the Kotdwar-Pauri road will take you straight to the doors of the virgin hills of Lansdowne. At an elevation of 5,597ft, Lansdowne is located in the lap of Shivalik hills of the Garhwal region. Lansdowne has a local bus transport system. However, the low connectivity and frequency of the buses make private taxis a better mode of transport to go around in the town. Privately owned taxis, SUVs and minibusses are the most preferred mode of commuting by tourists visiting Lansdowne. Unlike other hill stations in the country that are brimming with fun activities and spots custom-made to attract more and more tourists, Lansdowne allures you with its natural beauty. With not much to do around the town, a trip to Lansdowne is more of a sensory experience that will rejuvenate you and let you feel at one with nature. 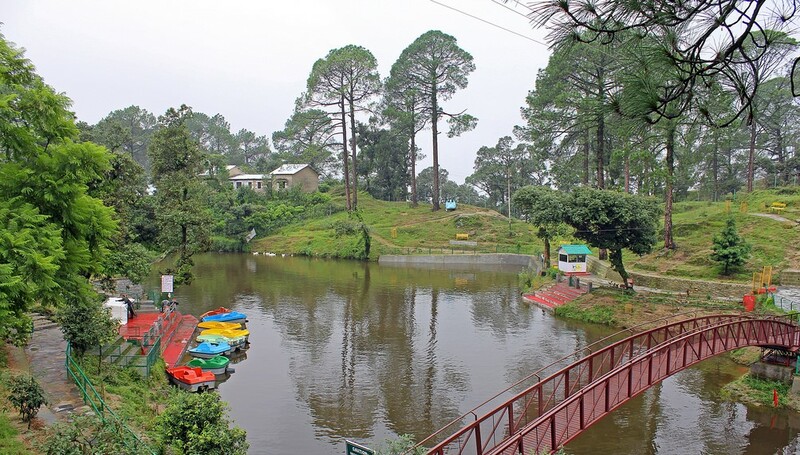 The Bhulla lake in Lansdowne is a perfect example of how the good Samaritans of the town are dedicated to keeping their homeland clean and beautify it in every way possible. 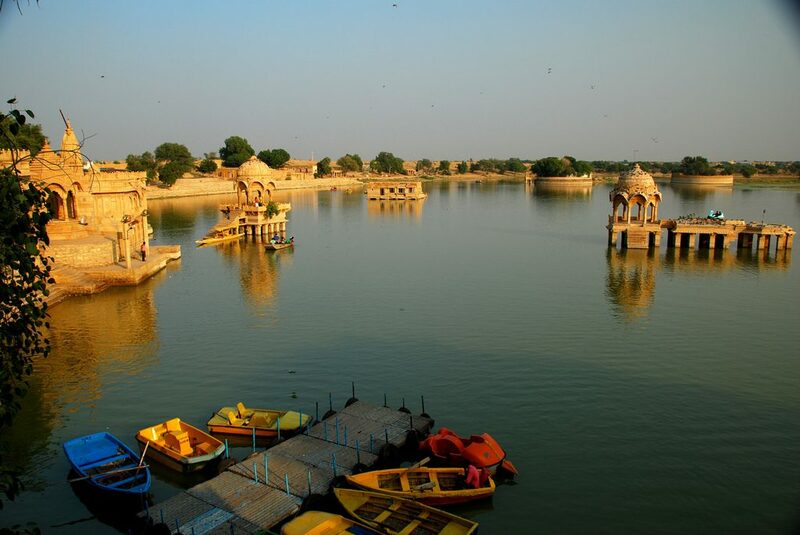 The lake was developed not only to give tourists an enjoyable experience of the town but also to harvest the rainwater. The lake is located near the Army School and is open for tourists from 9 am till 12 pm and 3 pm to 6 pm. Tourists can enjoy the lake by renting a boat for a nominal fee. One thing that Lansdowne has in common with the other hill stations in the state is a breathtaking view of the snow-clad Himalayas. 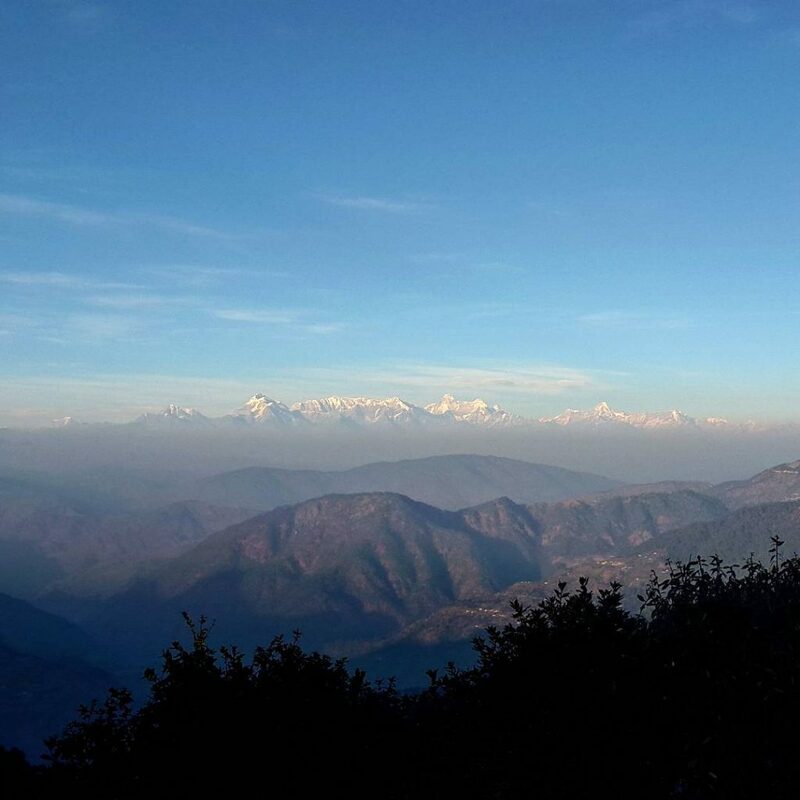 The Himalayan peaks of Chaukhamba and Trishul are visible from Tiffin Top and Snow View Point and it is an experience that can leave you mesmerized. These two are also good places for trekking enthusiasts. The most fascinating thing about this place is that it has very interesting folklore associated with it. According to a widely held belief, Bhim—one of the Pandvas—placed a small rock atop another small rock at this spot and since then, no one has been able to move the rocks. It is fascinating to push the top rock and see the huge thing move and yet not fall off the hill. Home to a plethora of artifacts belonging to the Garhwal Rifles, Regimental Museum is one of the most popular tourist destinations in Lansdowne. Entry fee is Rs. 50 per person and the museum is open for tourists between 9am-12 pm and 3pm-6pm from Monday to Saturday. St. John’s Church is the only running Church of Lansdowne. Dating back to 1936, the Roman Catholic Church boasts of beautiful interiors. It is located at the Mall Road and lures many tourists with its tranquility and beauty. Considered to be one of the must-visit places in Lansdowne, the Tarkeshwar Mahadev temple is approximately 35 km from the town and it takes about 1-2 hours to reach there. The 1600-year old temple is located right in the middle of a forest and reaching there can be a bit tricky for some tourists. The best time to visit Lansdowne is between April and June. The weather is pleasant, and you can enjoy clear skies along with some trekking expeditions. Monsoons in Lansdowne last from July to September. The sudden rain showers can obstruct the view from hilltops and can limit your excursions around the town. Summers in Lansdowne start from the month of March and last till June, and it can get hot and humid during this time. During winter, which lasts from December to February, the temperature can drop to 0 degrees and if you’re lucky, you can also experience snowfall. The best luxury accommodations that Lansdowne offers are mostly 3-star properties and a night’s stay here can cost anywhere between Rs. 4-6,000. Budget hotel options are also available in the town which can cost anywhere between Rs. 2-3,000 for a night’s stay. Homestays are also available for travelers on a budget trip. A twin-sharing room at these homestays will cost somewhere between Rs. 1-2,000 a night with breakfast. Located at an altitude of 1700 meters from sea level, Khisru is a small hill town which is still away from the hustle and bustle of tourists. Khisru offers a breathtaking view of snow-clad peaks of the Himalayas. The hill town is surrounded by Oak, Deodar and Apple Orchards that add to its splendid beauty. After a tranquil experience in the beautiful hills of Lansdowne, you can head to Rishikesh for some adventure. Private buses and taxis are easily available for Rishikesh from Lansdowne. One of the most popular hill towns of the Garhwal region, Pauri is known for its natural beauty and rich culture. 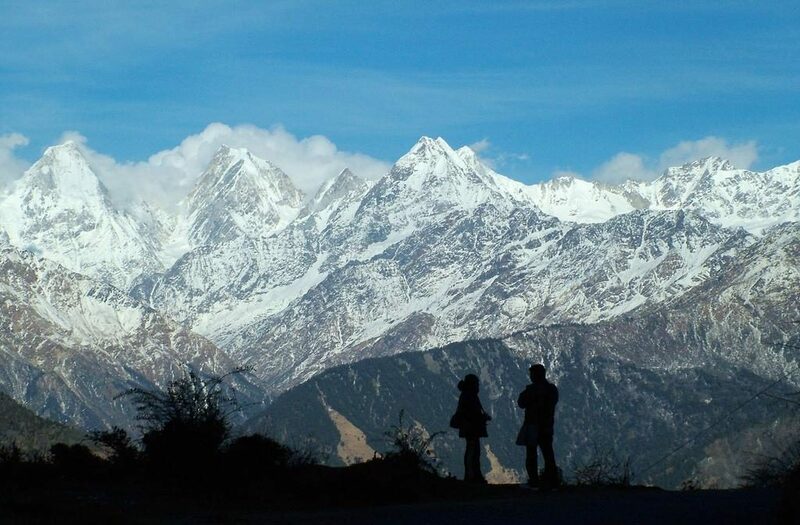 The town offers a panoramic view of many Himalayan peaks such as Neelkanth, Nandadevi, and Chaukamba. To witness the mesmerizing confluence of Alaknanda and Bhagirathi, head to Devprayag. This is the place where the two rivers meet and take the name, Ganga. Considered to be an important place of worship for Hindu pilgrims, Devprayag is one of the five sacred confluences of the hills. The post Mussoorie: The Queen of Hill Stations of Uttarakhand appeared first on ScrollDroll. Snuggled amidst the mighty Himalayas, Mussoorie, a breathtakingly beautiful hill town in Uttarakhand, is unquestionably the queen of hill stations. Located in the foothills of Garhwal Himalayan range, Mussoorie offers a picturesque view of the Doon valley and a wide variety of flora and fauna. Often referred to as the ‘queen of hill stations’, Mussoorie is a well-liked holiday destination by the travelers of all tastes and preferences. Over the years, several hill stations in Uttarakhand have risen to prominence and attempted to dethrone the ‘queen of hill stations’. But, the British charm from yesteryears and spectacular locales of Mussoorie continue to attract tourist frenzy. Located at the mid-altitude Himalayas, Mussoorie usually does not experience snowfall. However, the view of snow-clad mountain peaks around the hill town is exhilarating. The town sits on a 15-km long horseshoe-shaped ridge with Tehri Garhwal and the mighty Himalayas on its North, and Doon valley and Shivalik ranges on its South. Once a superabundant forest, the fertile land of Mussoorie was home to lush green shrubs such as Oak, Rhododendron, and Deodar. In fact, the town of Mussoorie is named after a shrub called ‘Mansur’ which grew in abundance in the region. 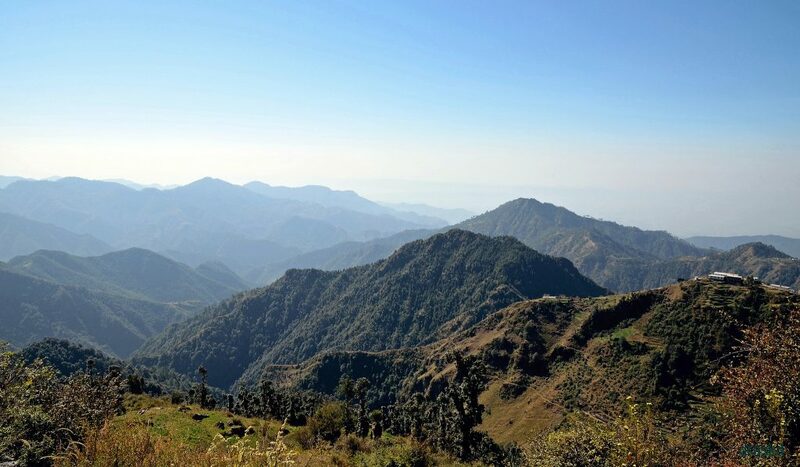 The thick plantation of the area also provides habitat to a significantly heavy population of Himalayan birds, leopards, rabbits, deer, wild rodents and Himalayan black bears. 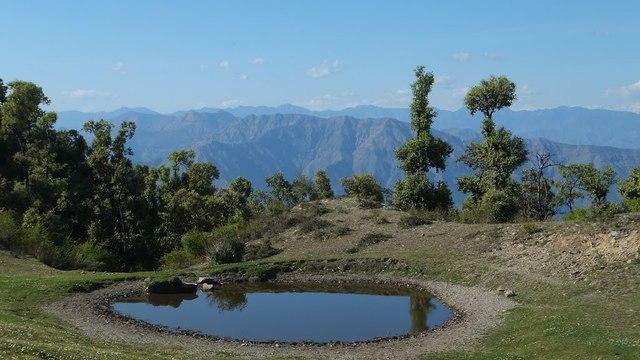 The Benog Hilltop in Mussoorie, which is also popular for the Jawalaji Temple, provides a breathtaking view of the Himalayas and the presence of avifauna in abundance make it the perfect place for bird watching. At an altitude of 1,880 meters, Mussoorie is located at the foothills of Garhwal Himalayan range in the Dehradun district of Uttarakhand. Just like most hill stations, Mussoorie is also best explored on foot. However, for longer distances, tourists can hire local taxis and autos. App-based taxi services are not available in the town. The small hill town is an ideal location to loosen up and rejuvenate your senses, and once the tranquility of Mussoorie has helped you de-stress, it is time for you to see and do things around the town. Although there is easy availability of different modes of travel, the town is best explored on foot. The colonial charm of Mussoorie will leave you spellbound when you visit the Mall Road. Decorated with lamp-posts and intricately designed benches, the Mall Road is a throwback to the period when India was under the British Raj. Interestingly, the Mall Road is located at the heart of the town which makes passing by the Mall Road area at least a few times a day unavoidable. The Kulri Bazaar deserves as much attention as the Mall Road. Popular for its commercial, tourist and social activities, the Kulri Bazaar area gives you a unique shopping and entertainment experience. So, once you are done admiring the colonial charm of the Mall Road, get on the Gun Hill Ropeway and enter the Kulri Bazaar. You will come across variety of hotels and restaurants at the Bazaar where you can satiate your taste buds and a wide range of clothing and fashion outlets to give you a little retail therapy. For your little ones’ entertainment, head to any 1980s-style video game parlor or take them to the skating rink at the Silverton. Located 400 ft above the Mall Road, Gun Hill is the second highest peak of Mussoorie providing a panoramic view of the Himalayan ranges. To experience a breathtaking view of the hill town and the snow-clad mountain peaks surrounding it, hop on for a ropeway ride which will cost you Rs.55 for a round trip. At the top, there is an uncountable number of restaurants for you to enjoy a meal while you adore the natural beauty around. The visiting hours for Gun Hill are between 9 am and 10 pm. 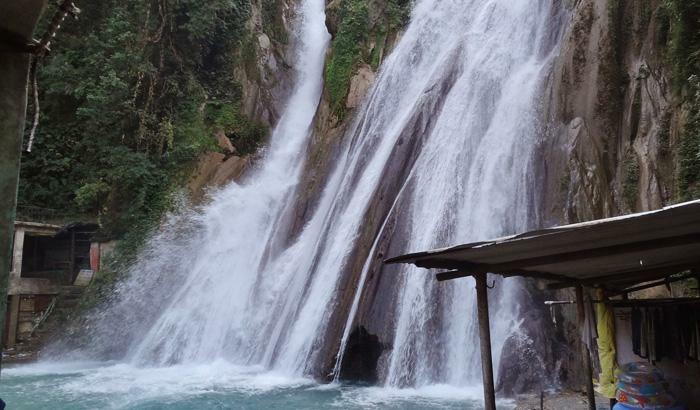 Around 6kms downhill from the main town of Mussoorie are located the beautiful Jharipani Falls. To reach Jharipani, you can take the St. George’s School road up to Jharipani main market. From this point, it will be a 30-minute and about a 1.5-km walk to the falls. Mussoorie offers several day treks to tourists. A hike to Pari Tibba, Hathipaon Estate, Benog Wildlife Sanctuary, and the Cloud’s End will give you an adrenaline rush. And, if you are an adrenaline junkie, take the longer trek to Nag Tibba. 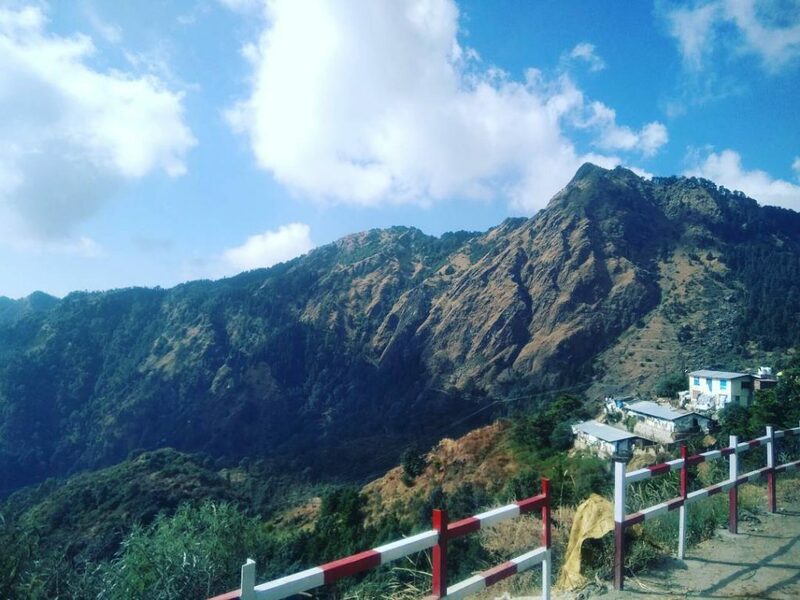 To witness the best climate of Mussoorie, plan a trip during Summer season which lasts from March to June or during the Autumn season which lasts from October to early December. Skip visiting from June-end to September-mid to avoid rains. Mussoorie winters are extremely cold and every 3-4 years, the town witnesses snowfall anytime between December and January. Mussoorie has lodging options for every budget and need — luxurious 5-star stays and pocket-friendly budget hotels. A night at any 5-star property in Mussoorie will cost anywhere between Rs. 10,000 and Rs. 20,000 (prices can vary depending on the tourist season). Budget hotel chains OYO and Treebo also run several properties in the city. A stay at these budget hotels costs anywhere between Rs. 1,000 and Rs. 3,000. For travelers on a very tight budget, Mussoorie also has Bunk Hotels which offer a night’s stay under Rs. 1,000 in a shared room. Its close proximity to the capital and several other towns in Uttarakhand has made Dhanaulti a popular destination among tourists. Located at an altitude of 2,286 meters above sea level, the small hill town offers a breathtaking view of the mighty Himalayas. Dhanaulti receives heavy snowfall during winters and that is the peak tourists season at the hill station. Located at an elevation of 8,500 ft above sea level, Kanatal remains a relatively less explored destination. The small hill town receives heavy rainfall during winters, which makes it a perfect destination for winter camps. The popular Surkanda Devi temple is also located at a very short distance from Kanatal. 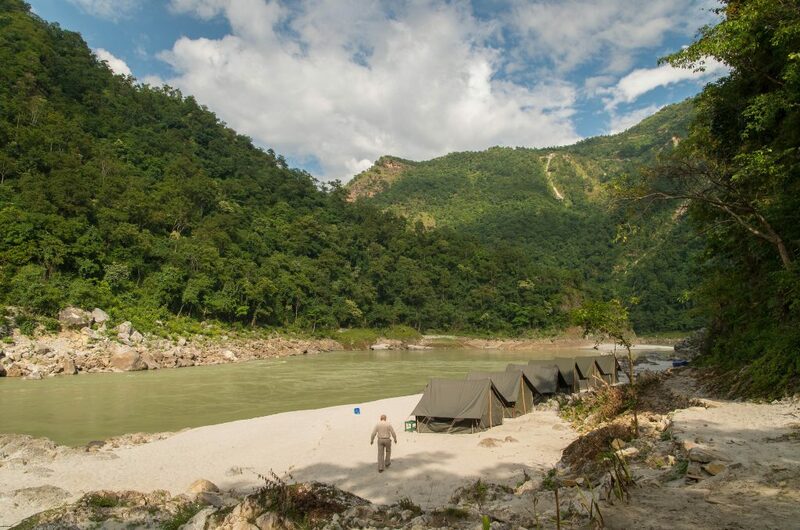 Located on the ghats of river Ganga, Rishikesh is the perfect destination for adventure activities and camping. From river rafting to cliff jumping, Rishikesh has a plethora of activities for adrenaline junkies. For tourists in search of some peace and quiet time, Rishikesh is home to several temples, yoga ashrams, and serene ghats. The post Nainital: The Lake Town of Uttarakhand appeared first on ScrollDroll. Based in the Naini Hills of Kumaon region, the Himalayan resort town of Uttarakhand is both picturesque and contemporary, unlike other destinations in the state. Nainital is surrounded by tall pine trees and is divided into two parts by the famous Naini lake—Tallital, the part that lies South of the lake and Mallital, the Northern part of the lake. Known for its breathtaking beauty, Nainital is one of the most popular destinations in Uttarakhand which attracts thousands of tourists every year. Set in the Naini hills, the lake resort of Himalayas is surrounded by tall pine trees on all sides. The famous Naini lake, which located in the heart of the landscape, and snow-capped Himalayan peaks, which are easily visible from the town, beautify Nainital to an extent that it can get really hard to blink. Heavy vegetation of pine trees in Nainital offers beautiful forest trails which is a perfect place for lazy strolls and if lucky, spotting some rare birds. The dense forests of Nainital are home to Himalayan langur, barking deer, Indian porcupine, wild pig, and black-capped marten. Along with the pines, Nainital also has grooves of Sal, Buruns, Oak and Kaphal trees that grow as tall as 6000 ft. Located in the lap of Kumaon Himalayas, Nainital is at an elevation of 6,538 ft from the sea level. 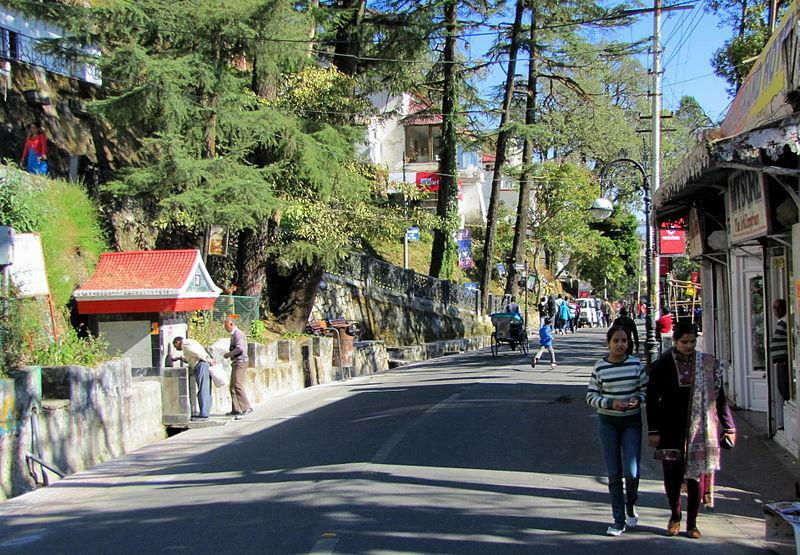 Just like most hill towns, Nainital is also best explored on foot. However, to cover longer distances or to reach hilltops, taxis are easily available. Some hilltops are enjoyed best when visited on a horse or on a ropeway. To go around the popular mall road, cycle rickshaws are the best option available. Although the beautiful Naini lake steals all the limelight, there are more than just a couple of other spots in Nainital that deserve attention. Almost every city or a well-established town in the country has a zoo. But what sets the Nainital Zoo apart from others is its spectacular quality of maintenance and location. The zoo is home to several interesting high-altitude birds and animals such as leopard, Himalayan black bear and steppe eagle. 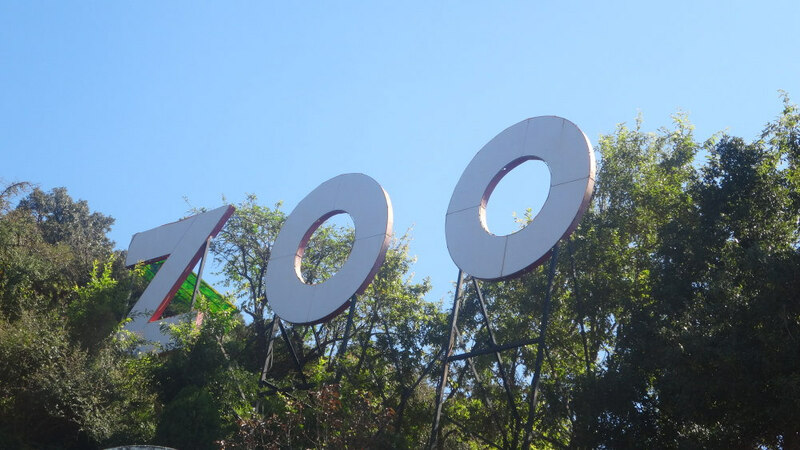 Located at height, there is a steep road to climb from the parking to reach the zoo. The entry fee is Rs. 30 for adults and Rs. 10 for children. 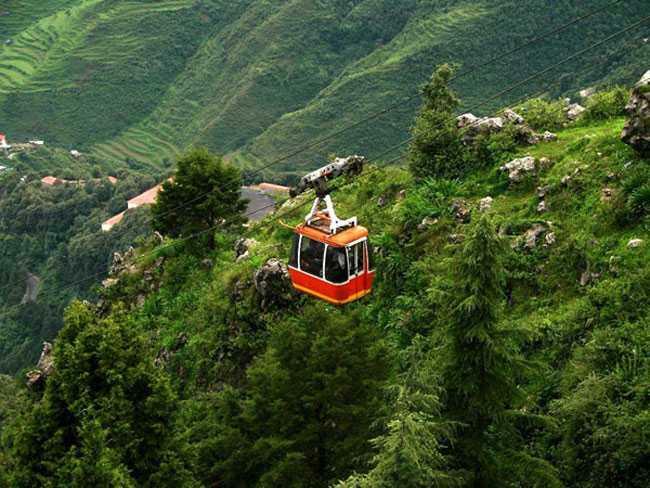 Get aboard an aerial ropeway to reach the top of Sher-ka-Danda Hill which is at a height of 7,448 ft and is popularly known as Snow View. 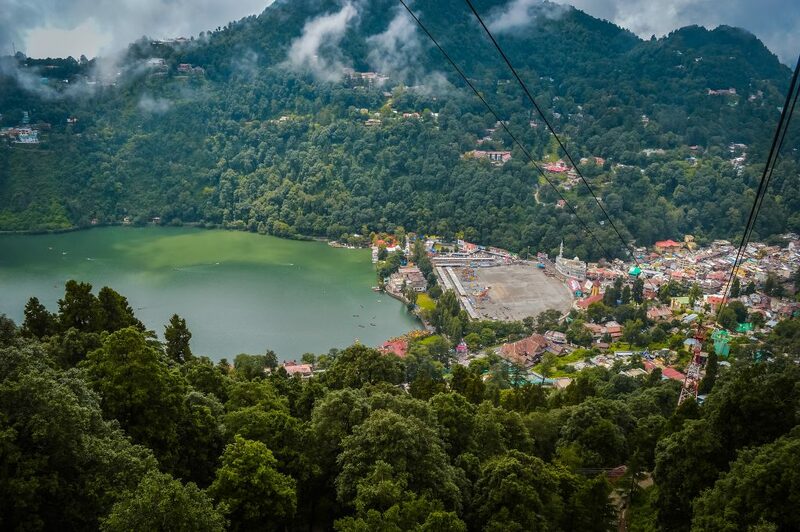 The cable car ride is filled with opportunities to capture and witness the best of Nainital. A round trip to the snow view point on a ropeway will cost Rs. 150 and the timings are from 10 am to 5 pm. One of the many popular tourist spots in Nainital, Tiffin Top, also known as Dorothy’s seat, offers a breathtaking view of the Himalayas. Tourists can either walk the rugged road to reach the top or take a horse ride to avoid fatigue. Boating and yachting on Naini Lake are the most popular activities amongst the tourists. While renting a rowboat can cost up to Rs. 130, a roundtrip on a yacht can go up to Rs. 270 per hour. Yachts can be rented from Nainital Boat House Club which is located on the bank of Naini lake. 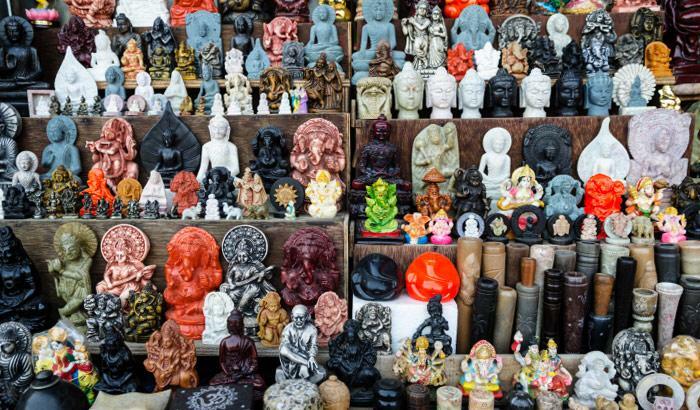 Adjacent to Naini lake is the famous Bhotia Market. Lip-smacking and authentic dishes of the hills such as Thukpa (dry noodles with soup) and Momos can be enjoyed here. Also, Bhotia Market is the perfect place to get woolens at dirt cheap prices. The best time to visit Nainital is during the months of May and June. Planning a trip during the monsoons, which start from July and last till September, should be avoided. Heavy rainfall and fog can obstruct the beautiful views and can make trotting through the town inconvenient. Visit Nainital in January and you have a high chance of witnessing snowfall. The lake district of Uttarakhand has a pleasant climate throughout the year. Summers are moderately hot and during Monsoons, the town receives heavy rainfall. Winter season begins with October and lasts till February. Nainital has a couple of exotic and luxurious resorts available for tourists who wish to unwind in the lap of nature. The tariff of these luxurious accommodations can vary anywhere between Rs. 9-12,000 a night during peak season. (Note: The prices can change depending on the season). Budget hotel chains such as OYO and Treebo also run properties in Nainital and a stay at these accommodations can cost anywhere between Rs. 2-4,000 a night. Home to spectacular tea estates and breathtaking waterfalls, Kausani is one of the must-visit destinations of Uttarakhand. There are no direct buses or trains from Nainital. Thus, hiring a taxi to Kausani is the only way to reach. Also, for lesser transportation cost, hire a taxi to from Nainital to Almora and from there, take a state transport bus to Kausani. Almora, a small hill town in Uttarakhand, is home to picturesque hilltops that give a breathtaking view of the snow-capped Himalayan peaks. Both state transport and private-owned buses ply regularly for Almora from Nainital. Also, shared taxis, which cost Rs. 250-300 per passenger, are easily available at Tallital in Nainital. Known for being home to a wide range of flora and fauna, Jim Corbett attracts tourists and nature-lovers from all over the globe. The only convenient way to reach Jim Corbett from Nainital is to hire a taxi. No direct flights or trains run between these two towns. Nestled in the lap of beautiful Himalayan peaks, Munsiyari is the perfect getaway for tourists looking for some peace and quiet. Taxis are easily available for hire from Nainital. However, for a cheaper ride, regular buses are available for Munsiyari from Kathgodam, Almora, and Haldwani. The post Valley of Flowers: The alluring National Park of Uttarakhand appeared first on ScrollDroll. Pretty as a picture, Valley of Flowers is one of those destinations in India that give a stiff competition to many foreign places. Located in the West Himalayas, the Valley of Flowers National Park has a rich flora and is home to some rare animals. 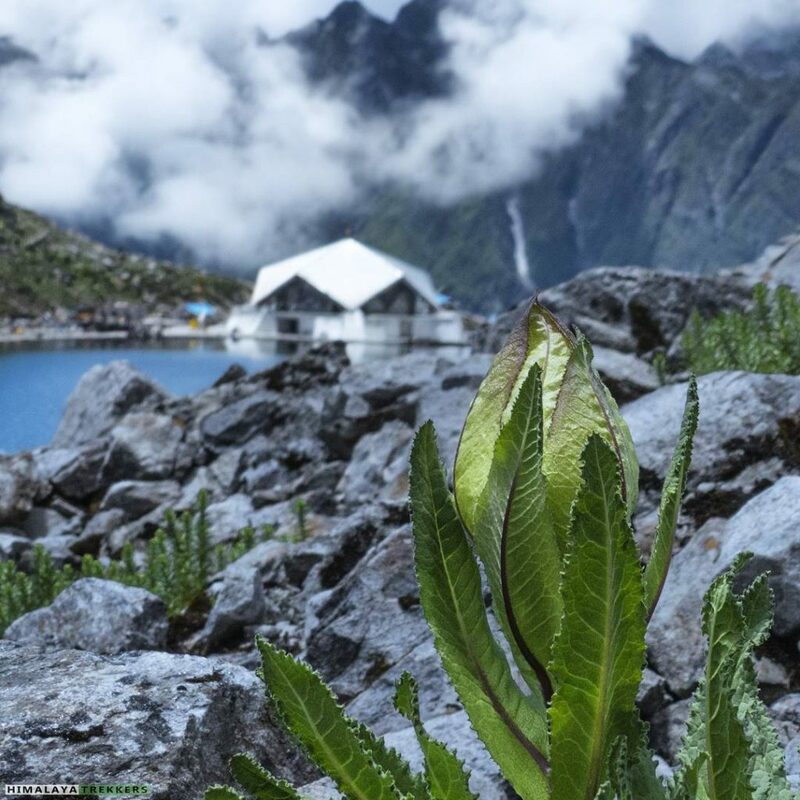 Decorated by hundreds of species of flowers, the high-altitude Himalayan valley is a popular trekking destination amongst mountaineers and a treasure for botanists. Nestled in the Bhyundar valley of Chamoli district, the Valley of Flowers has gained popularity for its breathtaking beauty and a moderately difficult trek. The valley has a plethora of flowers amongst which some of the most common ones are asters, inulas, Brahmakamal, Epilobium and rhododendrons. Flowers in the valley remain in full bloom for three months in a year and a new floral composition can be seen every couple of days. While admiring nature in the valley, trekkers come across butterflies and if you’re lucky, you can also spot a musk deer, Himalayan mouse hare, snow leopard, blue sheep or a bear trotting their habitat. The valley is a haven for several species of birds, which makes it a perfect destination for bird-watching also. The topography of the Valley is bound to leave every visitor speechless. While standing at the foot of the valley, you can watch the green meadows running through the division of an icy-cold stream. When you look around, you witness high-mountain slopes, layered in a thick blanket of snow, vanishing in the sky. Reaching the Valley of Flowers can be a task for the faint-hearted. The nearest motorable road to the valley will take you till Govind Ghat, which is a 1-hour ride from Joshimath. From Govind Ghat, a 13-km long trek begins which will take you to Ghangaria. It usually takes 4-8 hours to trek the steep and narrow path. This should be your last check-point before reaching the valley. A 3-km trek from Ghangaria will take you straight to the lush green meadows of the Valley of Flowers. The weather conditions usually remain dry in the area, unless it is the monsoon season. Valley of Flowers receives heavy monsoon rainfall, making the soil appropriately moist for heavy vegetation. From April to June, the climate varies between moderate and cool. Late June marks the beginning of the monsoon, which lasts till September. Starting from late October to late March, the Valley receives heavy snowfall. All the fatigue after almost a 20-hour long journey, which includes a 13-km and a 3-km trek, looks all worth it when you reach the Valley of Flowers. 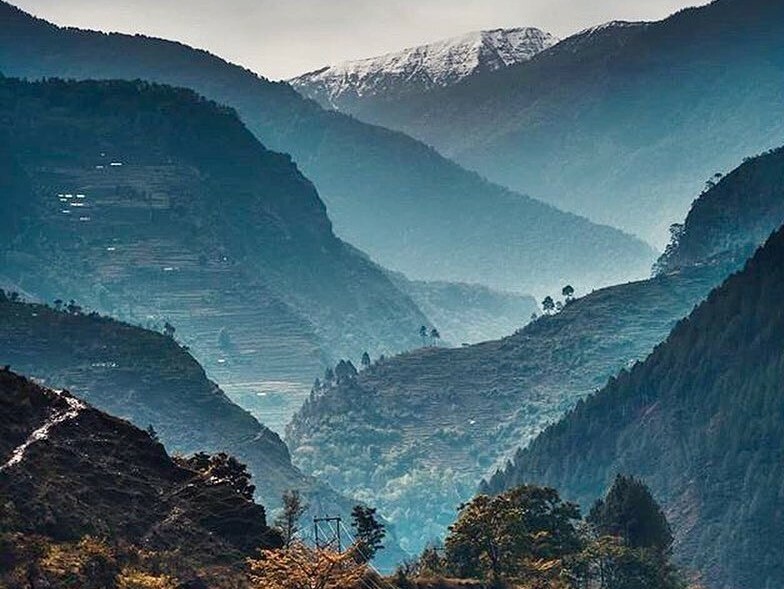 The spectacular beauty of the valley leaves you speechless and once there, all there’s left to do is admire the nature and revitalize your senses. At an altitude of 4,329 m above sea level, Hemkund Sahib is the highest Gurudwara in the world. The place is surrounded by snow-covered mountains known as the Hemkund Parvat. Trek to Valley of Flowers followed by a trek Hemkund Sahib is a popular holiday itinerary followed by tourists. Hemkund Sahib is a 15-km trek from Govind Ghat and nature has decorated the path with alpine flowers, rhododendron and wild roses. Another marvel of the nature that you get to witness at the Valley is Pushpawati river. The river rises at the base of Himalayas near East Kamet Glacier and flows Southwards, draining the Valley on its way. According to a popular legend, the Pandavas saw flowers floating down the river and named it Pushpawati. 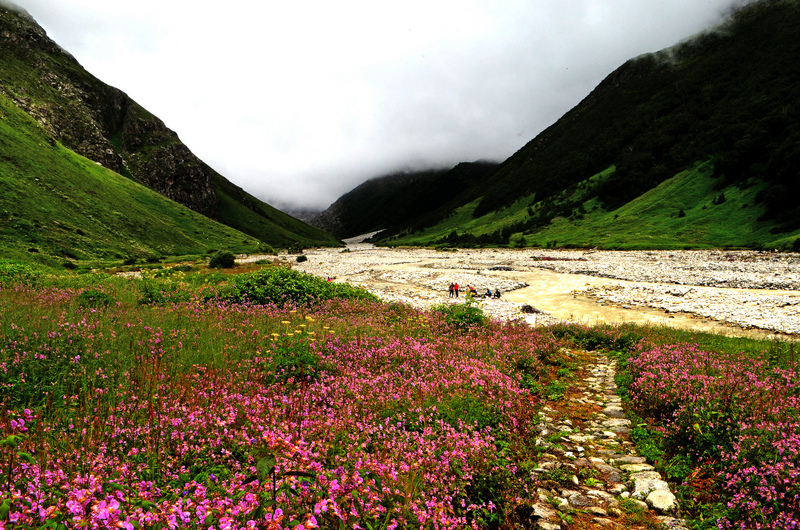 Campers and trekkers visiting Valley of Flowers are always in for a treat. 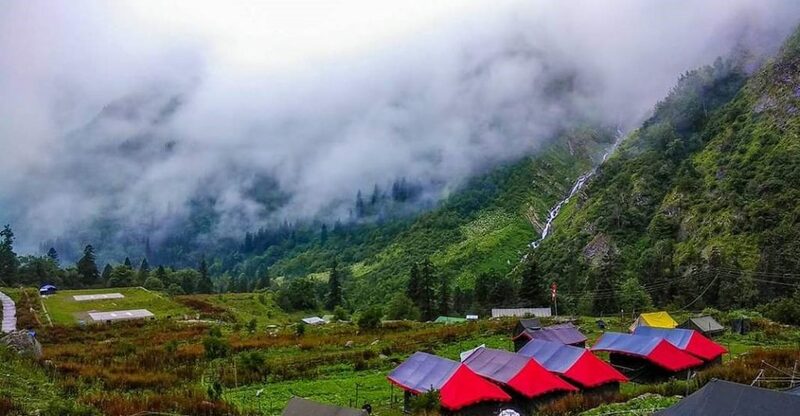 Spend a night camping in Ghangaria, which a 13-km trek from Valley of Flowers. Surrounded by lush green meadows and mountain peaks, Ghangaria is the perfect place to spend a night under the stars in a camp. To witness hundreds of species of flowers blooming at the same time, visit the Valley of Flowers between July and September. However, visiting the Valley during the winter season should be avoided completely. The lush green meadows and the colorful national park gets completely blanketed by snow during the winter season, hence defeating the purpose of your visit. The post Pushkar: The Holy Town of Rajasthan appeared first on ScrollDroll. The post Jaipur: The Vibrant City of Rajasthan appeared first on ScrollDroll. 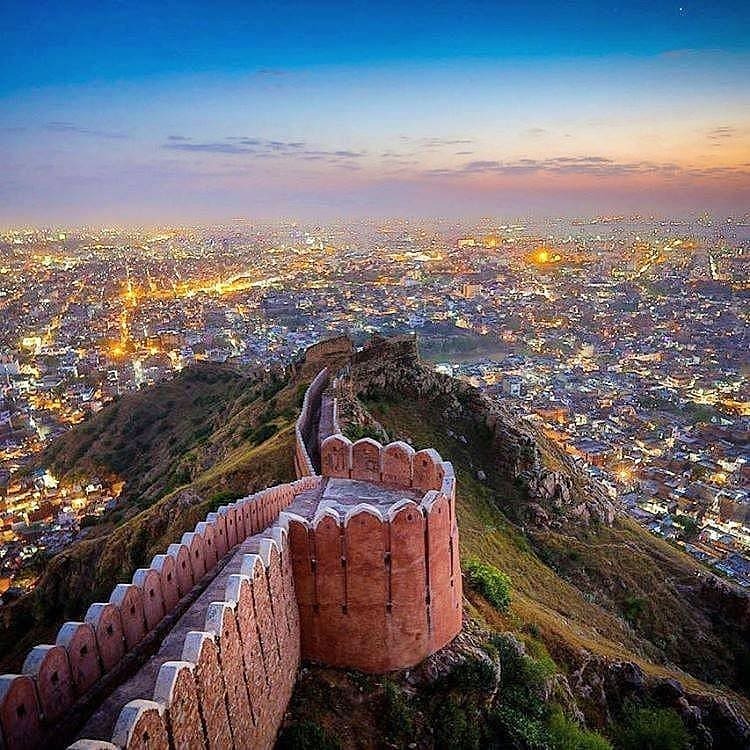 Founded by Maharaja Sawai Jai Singh II, Jaipur, the capital city of Rajasthan, lies on the edge of the Thar desert and is surrounded by the Aravalli Hills. Unarguably one of the most beautiful ancient cities of India, Jaipur was built with such scrupulous planning that its architecture can give any modern-day engineering marvel a run for its money. Tourist-Friendly city is a perfect example of how heritage and modern can coexist together. While on one hand there are 18th-century architectural marvels that leave the tourists enchanted, on the other hand, the city is equipped with a plethora of shopping malls arcades and markets to give the tourists all the retail therapy they need. The history of Jaipur is as interesting as the city itself. Jaipur became the first planned city of India when its king Sawai Jai Singh II, who ruled the princely state of Jaipur from 1699-1744, built it in 1727. 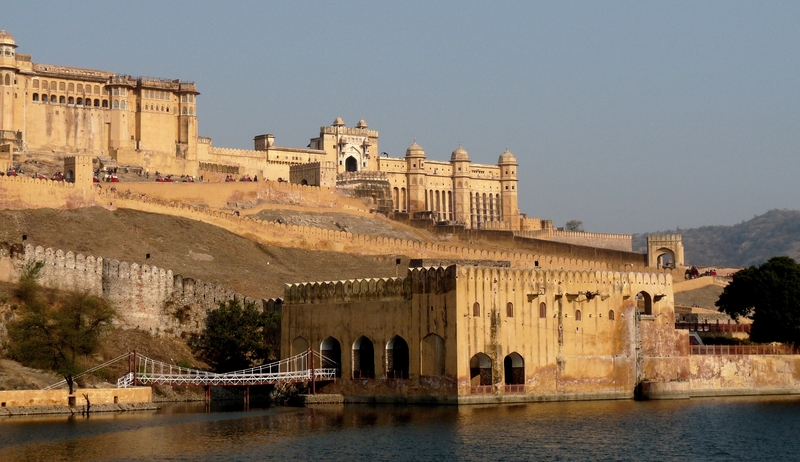 During the initial few years of his rule, Maharaja used Amber as his capital and fortress. However, the growth in the human population and a decrease in water supply made the king feel the need of moving his capital to Jaipur. A looming threat to the throne from enemies compelled Jai Singh to focus more on the security aspect of his new capital city. As a result, a Brahmin scholar from Bengal, Vidyadhar Bhattacharya was roped in by the king to plan the city’s architecture of the city. The scholar put his knowledge of Shilpa Shastra (the science of Indian architecture) to use and planned the city with Jai Singh. It is believed that the foundation of Jaipur city was laid down on 18th November 1727, after which it took 4 years and a massive amount of meticulous architectural planning to make the city what it is today. The cultural richness of the city attracts tourists from all over the world. 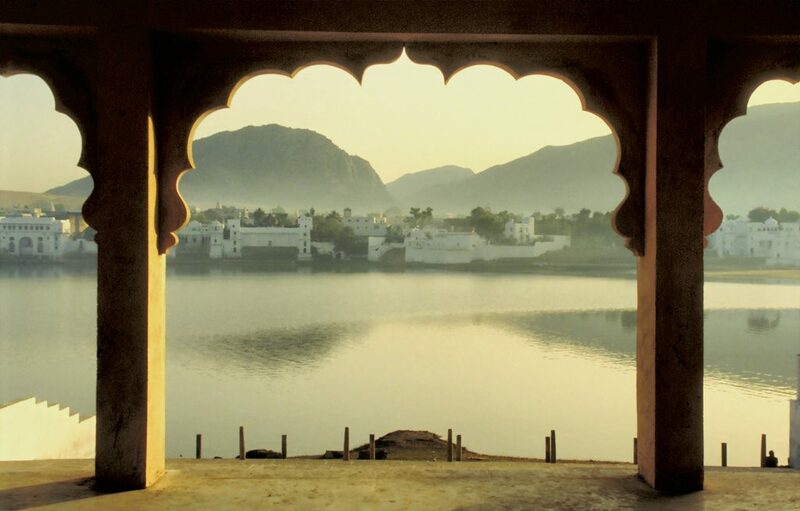 Its heritage and warm hospitality make Jaipur a difficult-to-miss place from their travel itinerary. Jaipur has excellent connectivity with major cities of the country via road, rail, and air. Located at a distance of 268 km from Delhi, it barely takes 4-5 hours to get to Jaipur via NH48. From Chandigarh, it is 528 km and takes about 8-9 hours to get there. 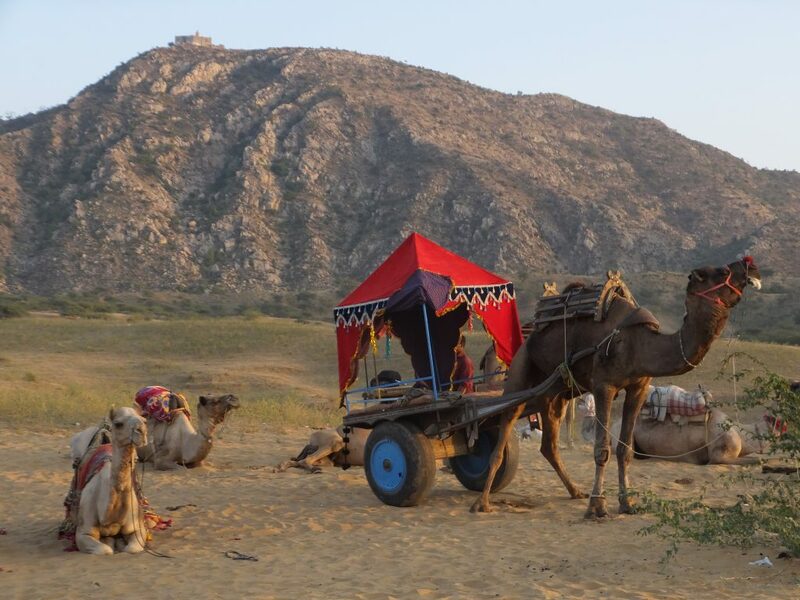 Located on the edge of the Thar Desert in East Rajasthan, Jaipur has a significantly hot and dry climate during the major part of the year. The climate during summer and winter season varies between extremely hot and harshly cold. The summer season starts from April and lasts till end-June. During May and June, it gets unbearably hot and the mercury climbs to 47 degrees on some days. Monsoon showers, which start from mid-July and last till September, bring relief from the heat and the temperature then starts to dip. October and November are satisfactorily pleasant and December marks the beginning of winter season, which lasts till March. Give credit to Sawai Jai Singh’s futuristic planning and development that has made Jaipur stand tall against the test of time and nature. 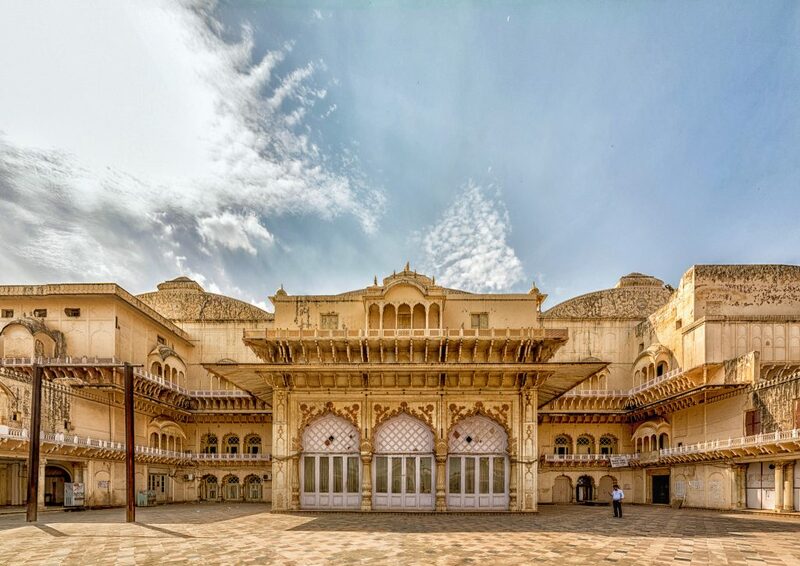 The heritage buildings, which include palaces, forts, and bazaars, have been sturdy as a rock for centuries, still alluring tourists from all over the globe. 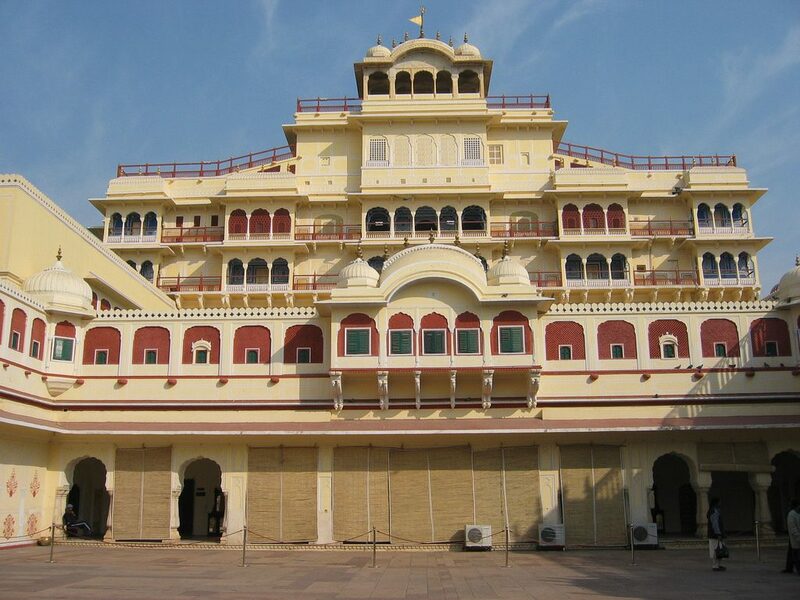 The five-story structure which stands in the heart of the city and watches over its habitants day and night is one of the most popular monuments of Jaipur. Hawa Mahal, also known as Palace of Winds, was built in 1799 by Sawai Pratap Singh for royal women to watch the daily activities on the streets of Jaipur. A very nominal amount is charged from the tourists who wish to see the monument closely from inside. Timings to visit the monument are between 9 am and 4.30pm. It isn’t just the heritage buildings of the city that attract tourists. 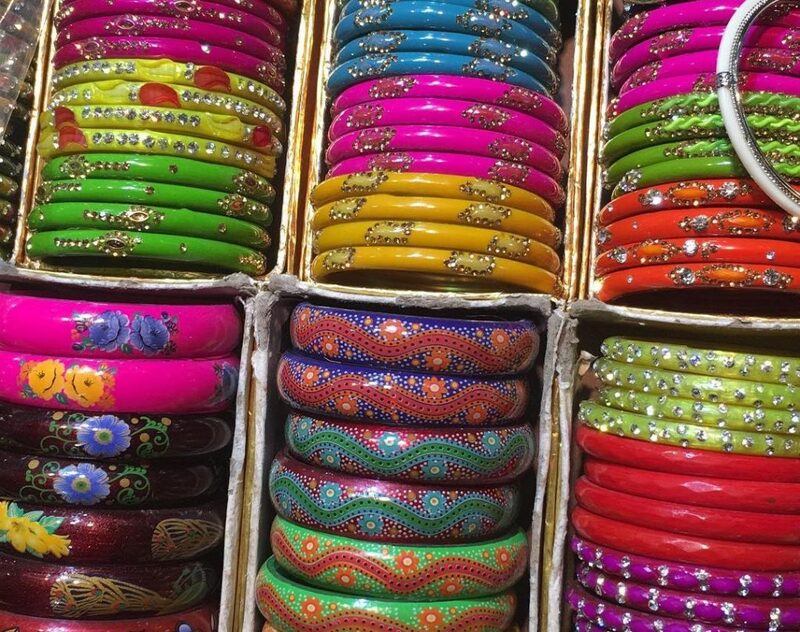 The vibrant and colorful bazaars of Jaipur also work as a magnet for visitors. Bapu Bazaar, one of the most popular marketplaces of Jaipur, is a sight to behold for the tourists. 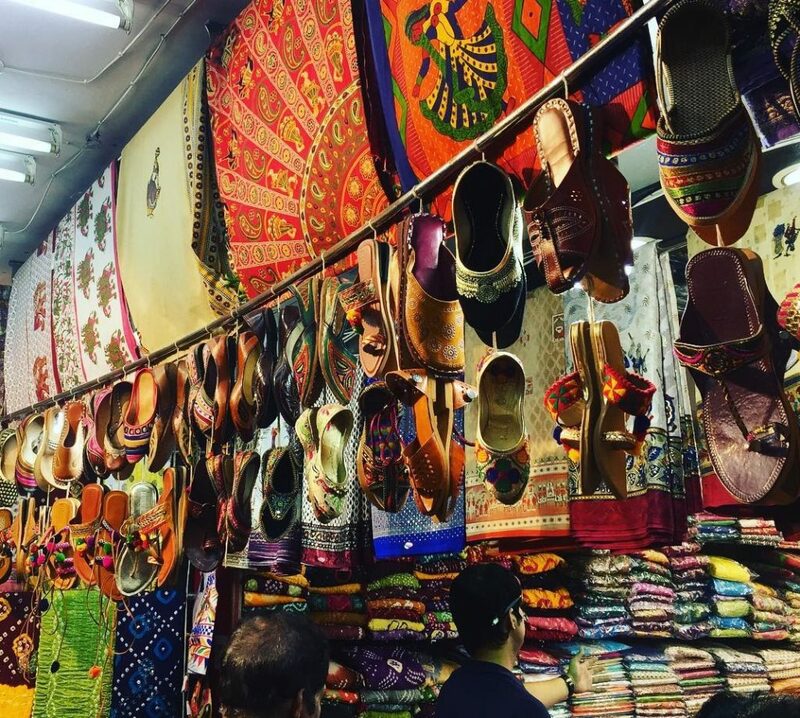 From colorful traditional jewelry to hand-printed bandhani stoles and dupattas, Bapu Bazaar is an opportunity for every tourist to take a memorable piece of Rajasthan with them. The magnum opus built by Sawai Jai Singh II is a perfect example of the ruler’s penchant for finesse. The breathtaking architecture of the palace gives the tourists a sneak peek into the royal lives of the king and his family. In the current day, a part of the palace is occupied by the present-day king and his family and the remaining area is open for tourists. A nominal entry fee n entry fee of Rs. 10 is charged from the tourists to take a closer look at the architectural wonder of the Rajputs. 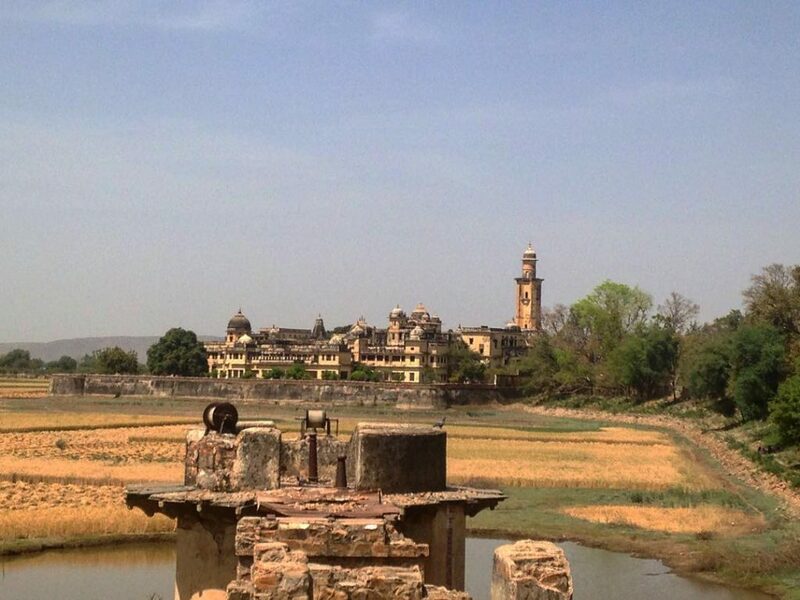 The mighty fort was built by Sawai Jai Singh II as a part of his foolproof defense mechanism against the enemies. One of the most happening spots for local youngsters now, Nahargarh gives a panoramic view of the city. One of the most popular tourist destinations of the city, the sandstone marvel is located about 11 km in the outskirts of Jaipur. 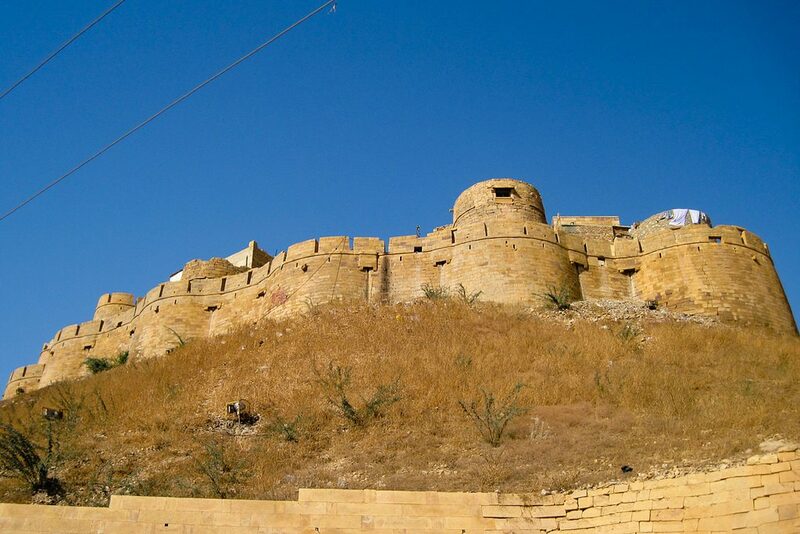 The fort is located on a hilltop and has a smooth and easy slope built for the tourists. While there’s an unwrinkled slope for a comfortable drive to the fort, elephant rides are also available at the base for tourists to enjoy the breathtaking view. The palatial fort is spread across 4 floors and each floor has a courtyard. Now a famous tourist spot, this archeological wonder served as the residence for many Rajput kings and their families back in time. Just like other major parts of the state, Jaipur also experiences extreme climates. 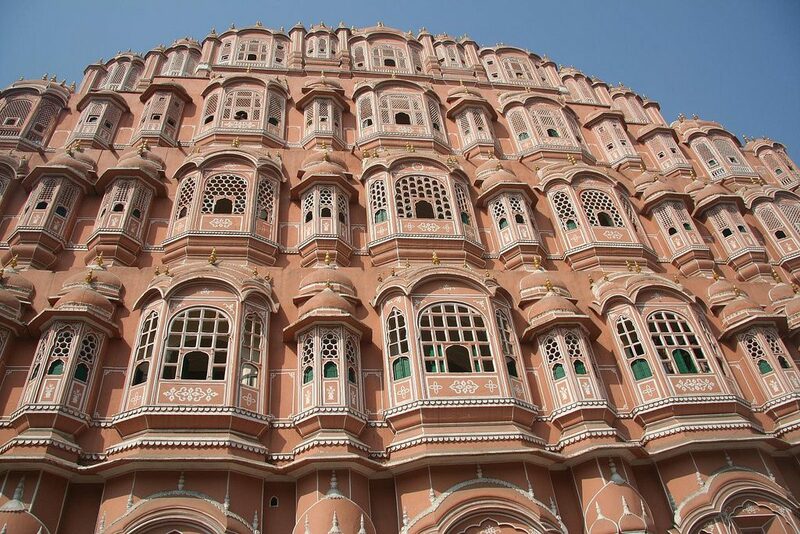 Therefore, the winter season, which lasts from November to February, is undoubtedly the best time to visit Jaipur. The post Alwar: The Hidden Gem of Rajasthan appeared first on ScrollDroll. The post Jaisalmer: The Golden City of Rajasthan appeared first on ScrollDroll.